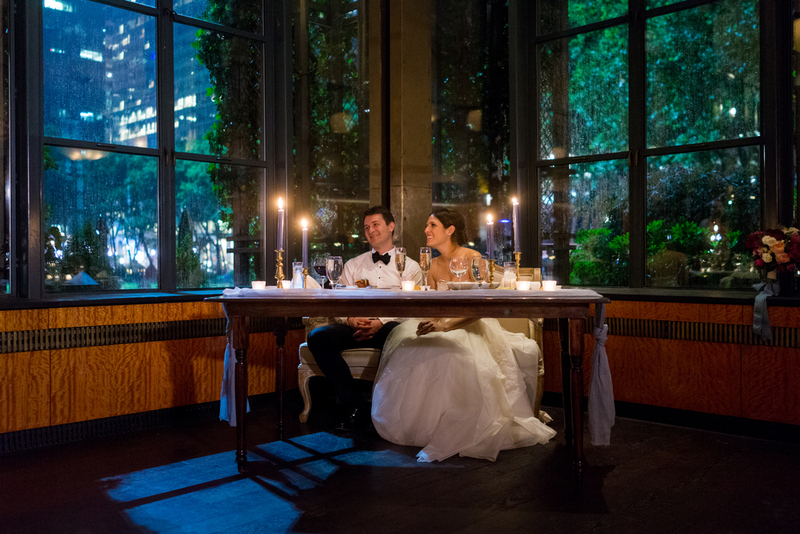 We were delighted to photograph the charming wedding celebration of Sarah and Misha at The Bryant Park Grill this past June. Sarah is one of the top wedding planners in the city, working for Brilliant Event Planning, so obviously being chosen to photograph her special day was an honor. She is also a chairperson for Wish Upon a Wedding, a non profit that provides couples who have undergone great challenges with memorable weddings. Basically, Sarah is a rockstar! 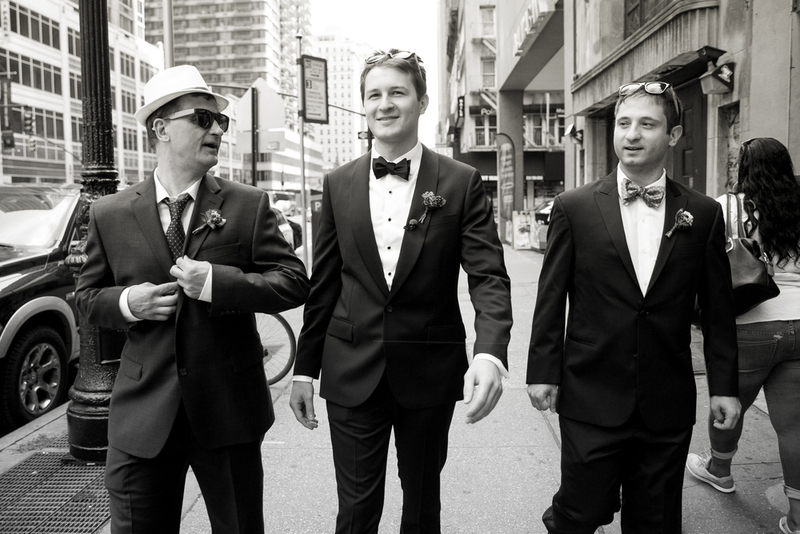 The bride started her day by getting ready in the Bryant Park Hotel while the groom got suited and booted in the Refinery Hotel a couple blocks away. They had their first look in the park prior to the ceremony followed by some pictures in Grand Central. After the heart warming ceremony on the rooftop the crowd headed inside to get the party started. The bride and groom were smiling from ear to ear the entire day and we made sure to capture that! Our photographers snapped some detail shots of the bride's engagement ring which belonged to her great- grandmother and has been worn by each generation since. Of course, the Brilliant Event Planning team made sure that her day went smoothly. Photographed by Craig Paulson with Lorraine Ciccarelli.